Dimensions: 7 x 8 in. 156 pages. 25 color photographs. Hardcover. Ready for melt-in-your-mouth goodness? 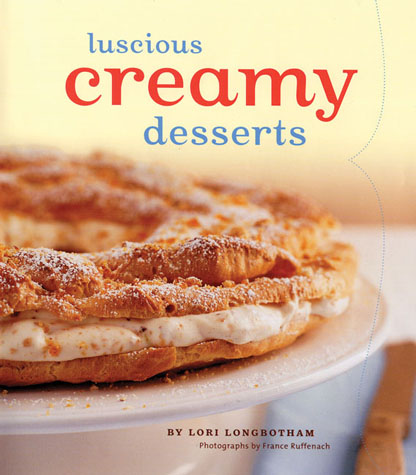 These scrumptious recipes are the latest mouthwatering morsels from Lori Longbotham, author of the successful Luscious Desserts series. This volume is filled with secrets of how to make rich, creamy cakes, puddings, frozen desserts, and more. The recipes celebrate that wonderful soft texture, but also contrast it with crisp additions of pralines, cookies, and nuts. For beginning bakers, Custard and Caramel 101 offers a basic guide laden with tips and techniques, making preparation as simple and quick as possible. Better-than-Classic Butterscotch Pudding,Lemon and Ginger Brioche Bread Pudding, and Grand Marnier Pots de Creme are just a few of the inventive goodies that are guaranteed to become the new comfort foods.